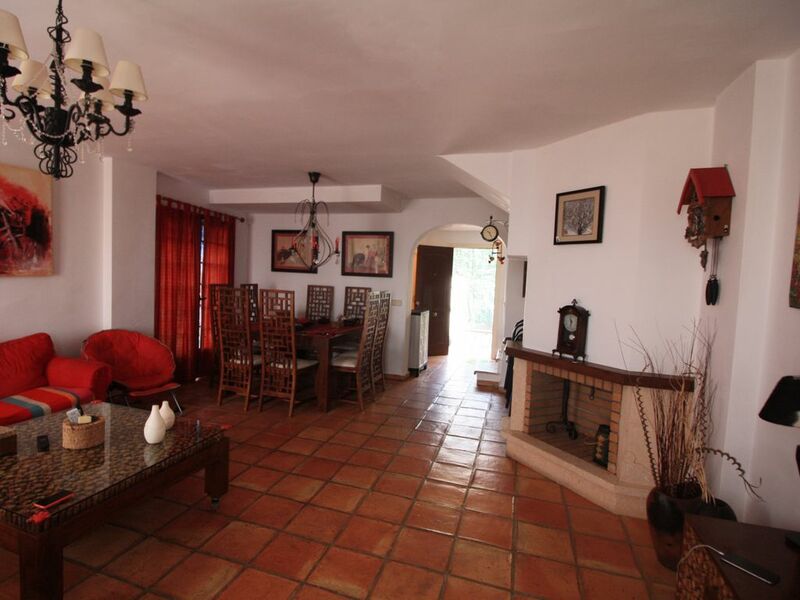 The bungalow in Finestrat has 3 bedrooms and has capacity for 8 people. The bungalow is nice, is fully-equiped, and is 140 m². It has views of the garden. The property is located 4 km from Playa Cala de Finestrat sand beach, 7 km from Playa del Torres rock beach, 4 km from Campo de Golg Melia Villa Aitana golf course, 4 km from Finestrat pueblo city, 9 km from Benidorm centro city, 2 km from Carrefour supermarket, 55 km from Aeropuerto Alicante-Elche airport, 43 km from Estacion de Tren alicante train station, 2 km from Estación de tram train station, 2 km from Parada de bus cercanía bus station, 8 km from Estacion de bus Benidorm bus station, 4 km from Terramitica amusement park / theme park, 12 km from Aqualandia water park, 6 km from Terranatura . The house is situated in a family-friendly neighborhood in a residential complex.The accommodation is equipped with the following items: garden, garden furniture, fenced garden, barbecue, fireplace, iron, tennis court, air conditioning (hot/cold), air-conditioned, communal+children's swimming pool, open-air parking in the same building, 2 TVs.In the vitroceramic independent kitchen, refrigerator, microwave, oven, freezer, washing machine, dishwasher, dishes/cutlery, kitchen utensils, coffee machine, toaster, kettle and juicer are provided.